This dressing table set is part of our beautiful Elise White Range. Painted in a fresh white colour that will fit in with most decors. A great look for a vintage French interior. 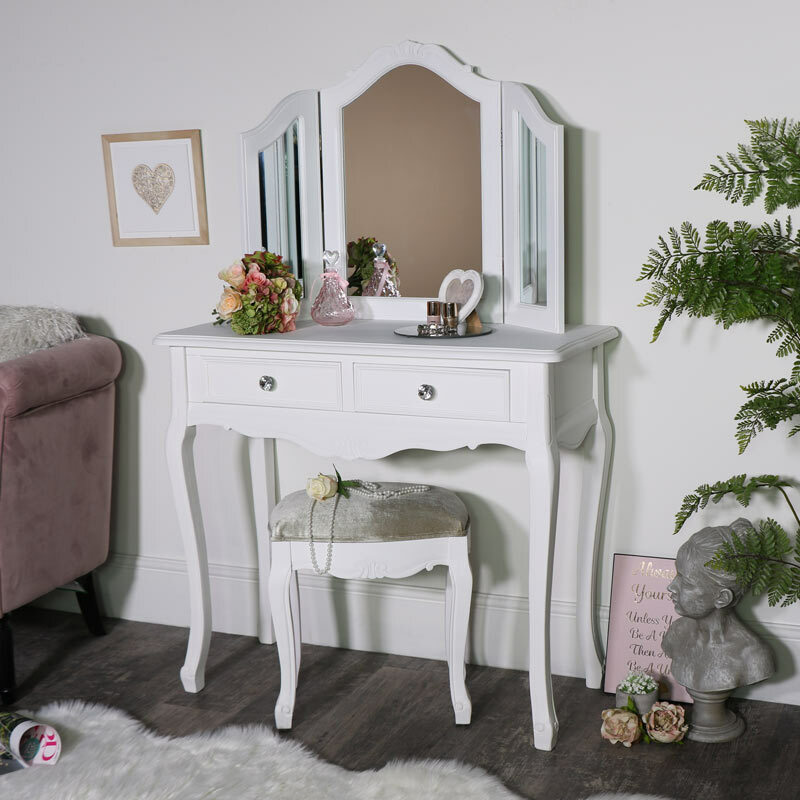 The dressing table, mirror and stool all feature ornate carved detailing that adds to the vintage appeal of this furniture. Comprising of a 2 drawer dressing table with crystal effect knobs, triple deisgn tabletop mirror and cushioned stool. We have a great selection of furniture in our Elise White Range that will allow you to create your perfect bedroom with even more furniture for your living room and hallway. Made from wood and finished in a crisp white colour. The table requires some assembly with just the legs to attach (fixings included), the stool and mirror both come fully assembled. We have many more pieces of furniture in our Elise White Range that will allow you to fully furnish your bedroom and living room with love and extraordinary style.